Writer Pico Iyer discusses the meaning of home, the joy of traveling and the serenity of standing still in a time when more and more people worldwide are living in countries not considered their own. We are lucky to have enjoyed Christmas in both hemispheres so have had a great mix of sunny summer delights and white winter feasts. 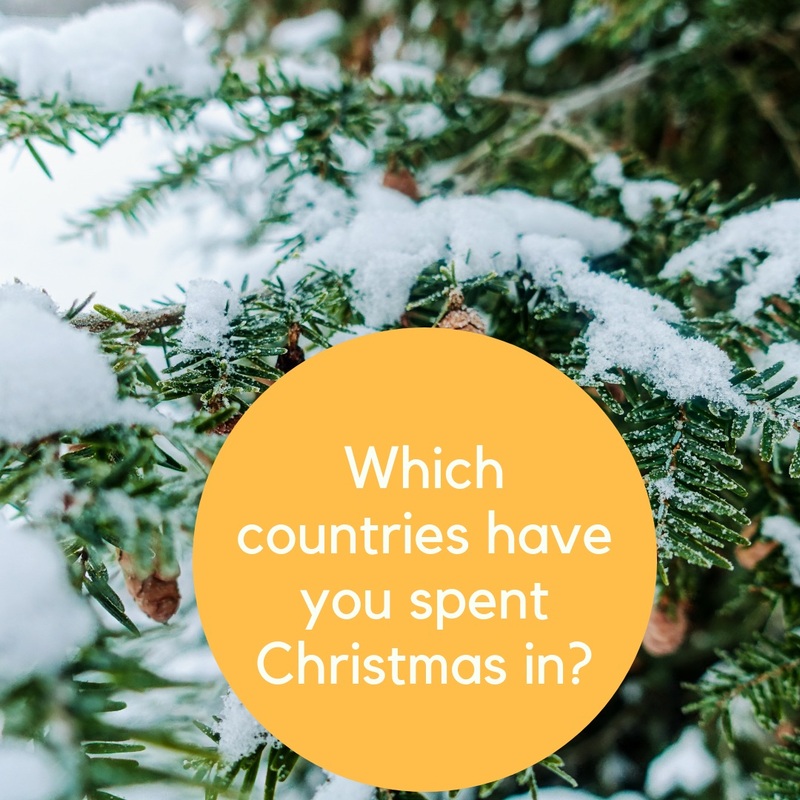 Which countries have you spent Christmas in? The sun is shining, the birds are chirping…it’s time to pack your bags for a super weekend! We’re loving this idea! Every seven years, designer Stefan Sagmeister closes his New York studio for a yearlong sabbatical to rejuvenate and refresh his creative outlook. Here’s all your travel inspo in one hit – the second edition of Journeys of a Lifetime, completely revised to mark its 10th anniversary. From iconic places to hidden gems, these destinations and routes represent the 500 favourite journeys of the travel writers at National Geographic. Covering every continent and mode of transport, Journeys of a Lifetime is particularly strong on adventurous trips – whether it’s cruising in Antarctica, trekking up Kilimanjaro or mountain biking in Transylvania. There are also thematic sections, with ideas for urban walks, food pilgrimages, hot new museums and more. Packed with maps, planning advice and amazing photography, this gorgeous book will provide inspiration and information for years to come. Ultimate Eatlist is another “500 Best” book that will be a great reference as well as inspiration. For many people (myself included), trying different cuisines is a favourite part of travelling, so the team at Lonely Planet has scoured the world for the most delicious, iconic and memorable eating experiences. From Laksa in Kuala Lumpur, BBQ in Texas to oysters in Tasmania, Ultimate Eatlist will show you what to eat, where to eat it, the history and culture behind each food, and why the experience will be special. Don’t read this book when you’re hungry! The names of famous hotels – such as the Dorchester (London), Raffles (Singapore), and The Plaza (New York) – instantly evoke images of history, glamour, money, celebrities. These are also potent ingredients for gossip! Hotel historian and travel addict Adrian Mourby has collected wonderfully entertaining tales about 50 of these grand hotels around the world. Read about how the details of India’s independence were drafted in the ballroom of the Imperial Hotel in Delhi; or about the time Salvador Dali asked room service at Hotel Le Meurice in Paris to send him a flock of sheep. The Great, the Good and the Eccentric, including Winston Churchill, Ernest Hemingway and Elizabeth Taylor – all made appearances, and some times, history – in these grand establishments. Pasta, Pane, Vino is the latest book by Roads & Kingdoms, a crew that applies foreign correspondence-style journalism to food, music and travel (thereby elevating it to a new and impressive level). Matt Goulding travels across Italy and shows how food staples – pasta, bread, cheese, wine – remain anchored in tradition, whilst allowing new generations of artisans the scope to innovate for the future. Matt’s exploration of food is also the starting point for deep-dives into Italian history, politics and culture. Each chapter is like a short documentary that is both intense and intimate. Pasta, Pane, Vino will hit the spot If you like your writing insightful and intellectual. Adam Weymouth spent four months canoeing along the Yukon River, tracing the life cycle of the legendary king salmon. From the spawning grounds of McNeil Lake in the Canadian interior, he travels over 3,000 km to the Bering Sea – and each year, thousands of salmon make this same journey in reverse, against the current and uphill, back to their birthplace to spawn and then die. Along the way, he meets various locals, whose lives are entwined with the fate of the salmon. The Kings of the Yukon is a quiet, poetic book befitting a journey through such a remote, rugged area. The slow pace of canoeing allows Adam Weymouth plenty of time for reflection on ecology, sustainability, and the tension between conservation and cultural traditions. “Don’t Dream it, Do it!” is the message by Alexandra and David Brown – if you have ever dreamt of taking a year off to travel the world, then this is the book for you. A few months into their relationship, Alexandra and David decided to take a year off from work and travel together. Visiting 20 countries in 12 months is a big challenge for a new couple, and this book details the highs and the lows, the glorious moments and the sheer exhaustion. 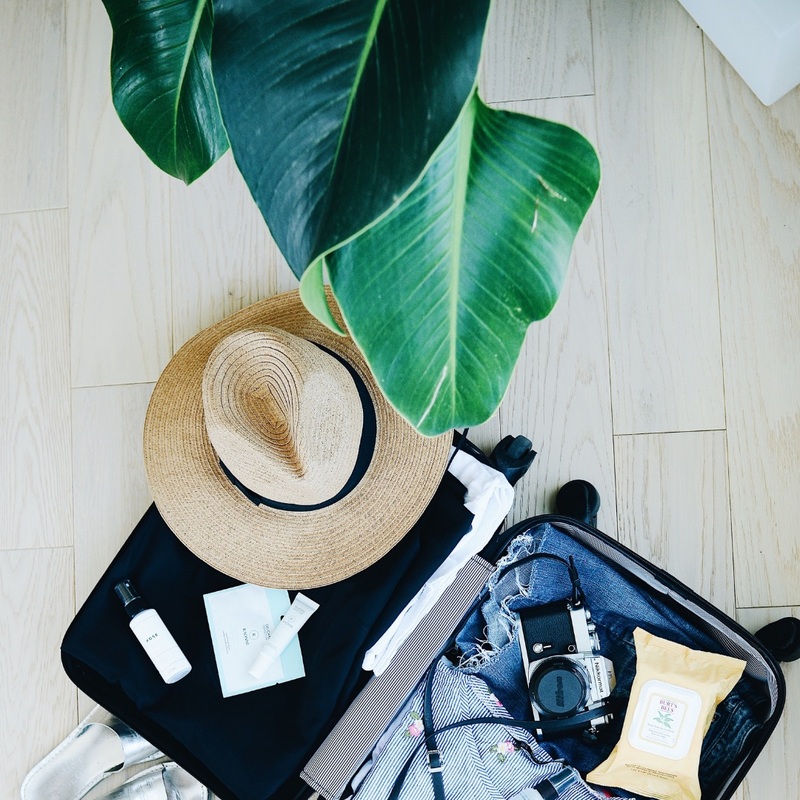 Alexandra and David also show how to plan and budget for such a trip, the conversations you need to have with your boss, how to manage the mundane stuff whilst on the road. Combining guidebook, travel essays and memoir, A Year Off will inspire you to finally take the plunge with that dream trip. 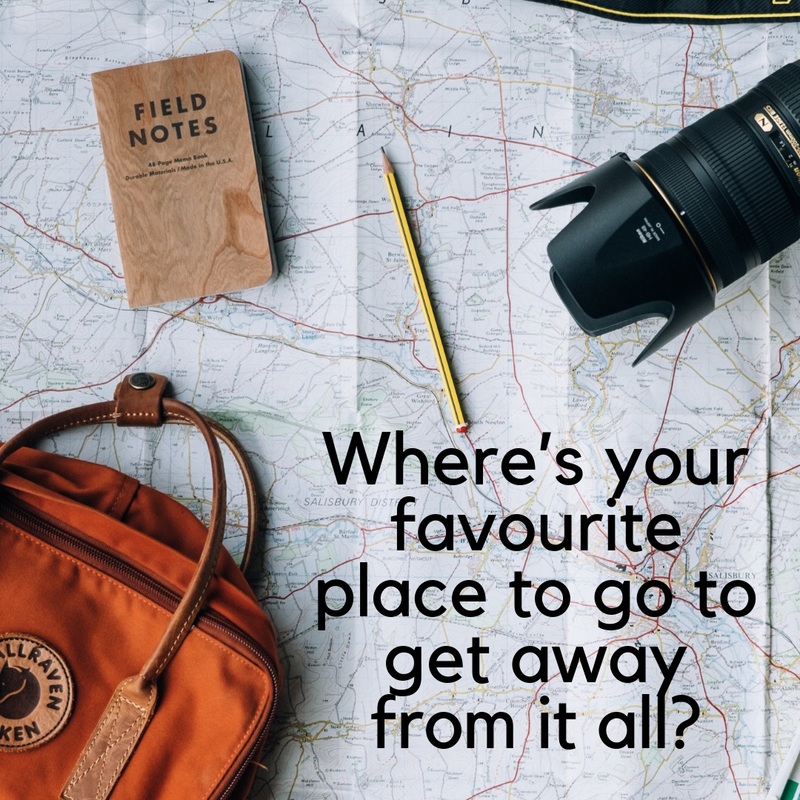 Travelling is exciting because it takes us to new and distant places; however, in such unfamiliar places, without our usual support network, we become vulnerable. The Kindness of Strangers explores what it means to be vulnerable and to be helped by someone we’ve never met, someone who could have walked past, but chose not to. Contributors share personal stories of the kindnesses they have received from adventures around the world, from a warm and cheering bowl of soup, to a rescue from a dire situation. The Kindness of Strangers is not just a travel book, but one that reminds its readers that much good can arise from even the smallest of kind gestures. In doing so, it encourages readers to empathise and be kind too. All royalties go towards supporting Oxfam in their work with refugees – the most vulnerable travellers of them all. The team behind the bestselling Atlas Obscura has returned with a book, designed to inspire wanderlust in a younger generation! The Atlas Obscura Explorer’s Guide for the World’s Most Adventurous Kid is packed with fascinating and unusual information about 47 different countries spread across every continent. Besides distant and exotic places – such as the Crystal Caves in Mexico and Blood Falls in Antarctica – it also encourages young readers to explore and reveal the hidden wonders of their own environments. Designed to appeal to 8-12 year olds (the age when curious facts and amazing records really capture their imaginations), this is a beautifully-produced book that will be perfect for gifting. Ohhh give us some sun, sand and sea any day…though we’re also partial to a weekend in Prague, or Paris or a long holiday in Helsinki. 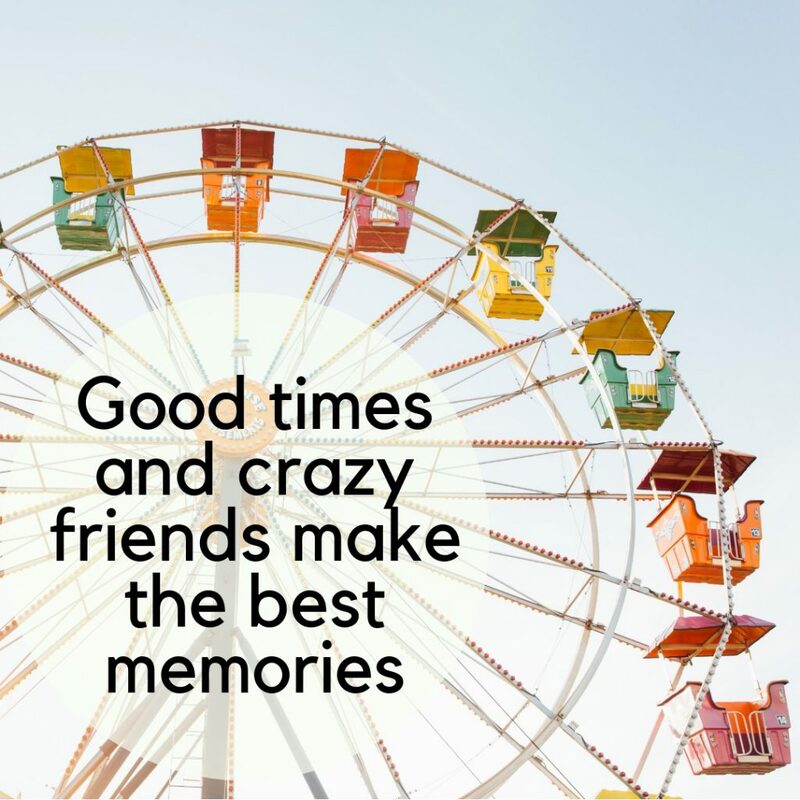 We couldn’t agree with this quote more, there’s nothing that makes a holiday more fun than a great travel buddy. Psst…this week on the blog we’ll be sharing our top travel books of the year. 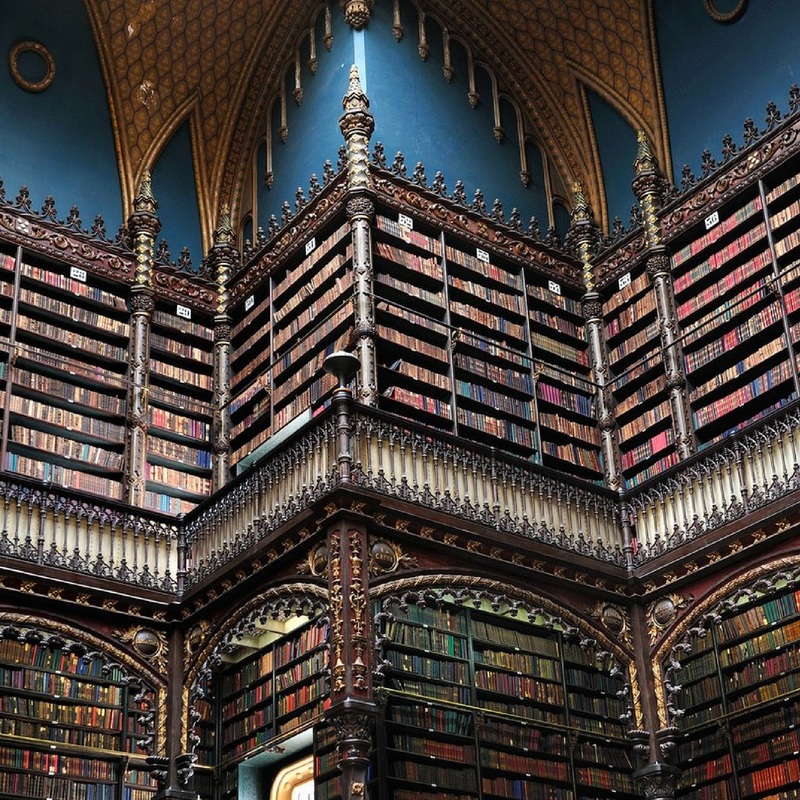 Wowsers…check out the Royal Portuguese Cabinet of Reading in Rio de Janeiro…how amazing is this space! They say the world is your oyster, but for many it’s now a refuge from Melbourne’s bitter cold snap…it appears every second person we’ve chatted to is heading abroad to escape winter so we thought we’d show you just what the world has on offer. …and for those of you who are staying put and wrapping yourself in a blanket at home, we’ve found some beautiful ‘souvenirs’ that you can buy yourself from the comfort of your sofa…you’re welcome! It’s tennis time at Wimbledon where you can soak up the buzzing atmosphere at one of the biggest sporting events of the year, enjoy strawberries and cream, and super polite queuing as you wait for the masters in white to play. Standing in Line is a humorous memoir, based on a variety of experiences in The Queue, one of sport’s most fascinating traditions. Told through the eyes of a ten-year-old boy becoming a 39-year-old man, it is a love letter both to Wimbledon and to the wonder of British summertime. Watching the Championships is a national pastime, and this book is full of the ups and downs out on court, as well as the memorable pop-cultural moments off it. It is set against the desperate wait for a British Gentlemen’s champion, viewed against the global reality show Wimbledon has become – transcending sport and class, yet still embracing tradition. Illustrated with drawings from renowned artist and author Zebedee Helm, the book observes both the changing world around us and the behaviour of the half-million fans who cram themselves into this leafy corner of London for two weeks every year. Standing in Line is a joyful, gently nostalgic read for anyone who has found themselves gazing for hours on end at coverage of Wimbledon. This critically acclaimed play has won 22 major theatre awards in the United Kingdom and is the most-awarded production in the history of Britain’s prestigious Olivier Awards, winning a record-breaking nine awards including Best New Play and Best Director. Written by Olivier and BAFTA Award winner Jack Thorne, Harry Potter and the Cursed Child is the eighth story in the Harry Potter series and the first official Harry Potter story to be presented on stage, bringing together some of the most exciting talent working in the theatre today. And if you fancied reading up on the life of Harry prior we know just the thing! Okay, so technically this isn’t going to help you escape winter…but rather remind you over and over that it is coming. From 1 June to 2 September, Paris Expo Porte de Versailles will be transformed into Westeros! Enter the world of the Seven Kingdoms with this reconstruction of the sets of the series, including the Kingsroad, The Wall, the House of Black and White, and the Iron Throne Room, you’ll also be able to see Daenerys’s robes, Jon Snow’s fur coat, and plenty of multimedia content. When you play the Game of Thrones Monopoly, you win or you die…Wait! It’s not as serious as death but you will have to pay up, as the number 1 property board game meets the hit TV series Game of Thrones! Game of Thrones fans, brace yourselves, Winter is coming and so is the Game of Thrones Monopoly Collector’s Edition! Mr. Monopoly definitely took a wrong turn at Old Kent Road and ended up in Westeros. Get your friends and family together and join him in the world of Game of Thrones to see who will rule the Seven Kingdoms and sit on the Iron Throne. Since its creation in 1772, Veuve Clicquot has never ceased to create and innovate and has never compromised quality. These high standards were set by Madame Clicquot herself when she took the reins of the company in 1805. Almost 250 years later, Veuve Clicquot has become not only one of the most sought-after champagnes in the world, but also an attitude. Readers will discover the thrilling atmosphere of the brand’s international celebrations, whether in New York at the Polo Classic or in Japan during sakura season. Partnerships with prestigious names like chef Joel Robuchon and designers Pablo Reinoso and Andree Putman have led to limited editions, exclusive design pieces, and unique lifestyle and gastronomical experiences. As they say at Veuve Clicquot, “Let life surprise you”! And who can go past the ultimate Finnish souvenir…a little something from Marimekko! Internationally beloved Finnish design brand Marimekko’s iconic patterns grace home decor, apparel and accessories and have informed and influenced tastemakers worldwide for over half a century. Richly illustrated with photographs and prints both classic and new, this vibrant volume (launching along with covetable notebooks and postcards) offers a behind-the-scenes tour of the brand’s creative process. A colourful legacy is revealed, along with the innovative creators, from 1950s pioneers to twenty-first-century masters, who have shaped the company’s heritage and continue to make visual magic today. Rare sketchbook pages, in-depth looks at particular eras and page after page of gorgeous designs make this a book sure to enchant anyone interested in fashion, art, or the patterned and colour-drenched world of Marimekko. Tomorrow we’re exploring what’s on in major cities around the world but today we have a great #tedtalk for you. With great humour, Roman Mars shares why city flags may be the worst designed things you’ve never noticed.